Fresh trade! Clean carfax Nissan 350Z sports car just in time for summer. If you looked at 20 350Z's under $10k, this one would be right up there at the top. The overall condition is in great shape compared to what else is out there in the market. The person who buys this one is going to be someone who has looked at a few of them, and then can truly appreciate the overall condition. The charcoal gray paint looks great and is one of the easiest colors to maintain. The clutch was replaced within the last year so it feels like new to drive. Comes loaded with HID headlights, Power options, bluetooth, and great performance. 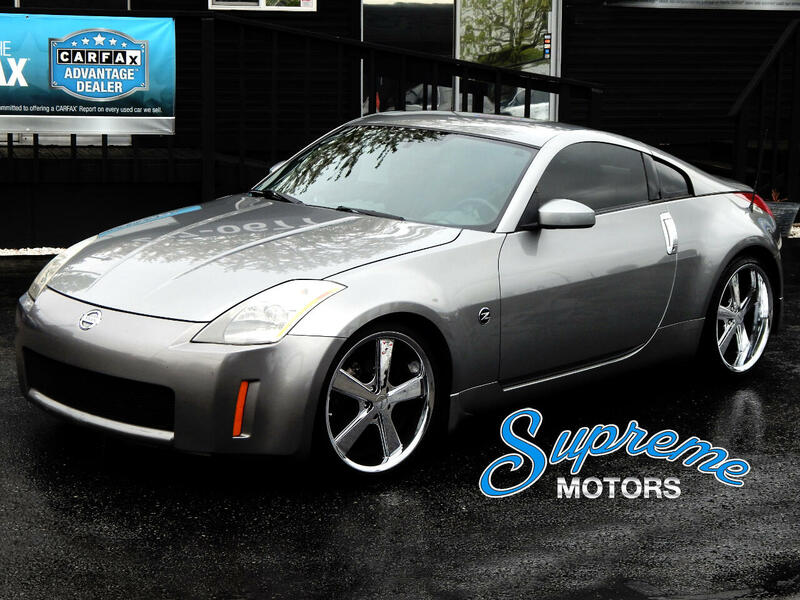 These 350Z are timeless sports cars and for this price it a lot of car. It is a must see if you are looking for a high performance sports car on a budget or buy it on the side as a toy and not break the bank. We see a fair amount of the 350z's when we look for cars, but as you could imagine they are pretty hammered. To find one with a clean carfax and no accidents, great color combination, and in this condition for under $8k doesn't come around all the time. We will say it again....this is a lot of car. We also offer extended power train warranties as well. Do miss out because summer is coming and rolling this car will make it a summer to remember for whoever buys it. Call or email with questions.